Director Josh Tickell takes us along for his 11 year journey around the world to find solutions to America's addiction to oil. A shrinking economy, a failing auto industry, rampant unemployment, an out-of-control national debt, and an insatiable demand for energy weigh heavily on all of us. 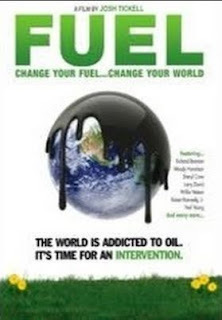 Fuel shows us the way out of the mess we're in by explaining how to replace every drop of oil we now use, while creating green jobs and keeping our money here at home. The film never dwells on the negative, but instead shows us the easy solutions already within our reach. You might also like the Video documentaries tag or just flyby the Index page, and discover your topic.